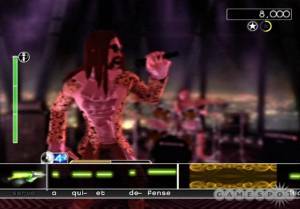 Shredz64 is a game modelled against the mechanics of Guitar Hero to play music on a guitar controller. Players need to match notes in five columns, each with its own colour, against the rhythm and melody of the music. Doing well increases the applause meter and when it runs out the game is over. 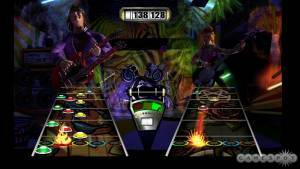 Similar to Guitar Hero's star power, perfect parts increase a shredocity meter, allowing the player to lift the guitar, turning the screen border red and scoring additional points. 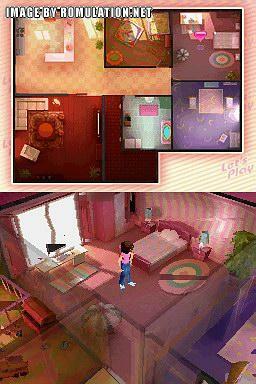 The screen only shows the notes in a pseudo 3D fashion, with nothing else in the background. The game makes use of the PSX64 interface that connects PlayStation controllers to computers that use a DB9 port, and the Commodore 64 pin configuration. For the PlayStation 2 guitar controller, this does not only include button presses, but the whammy bar, strumming and lifting as well.